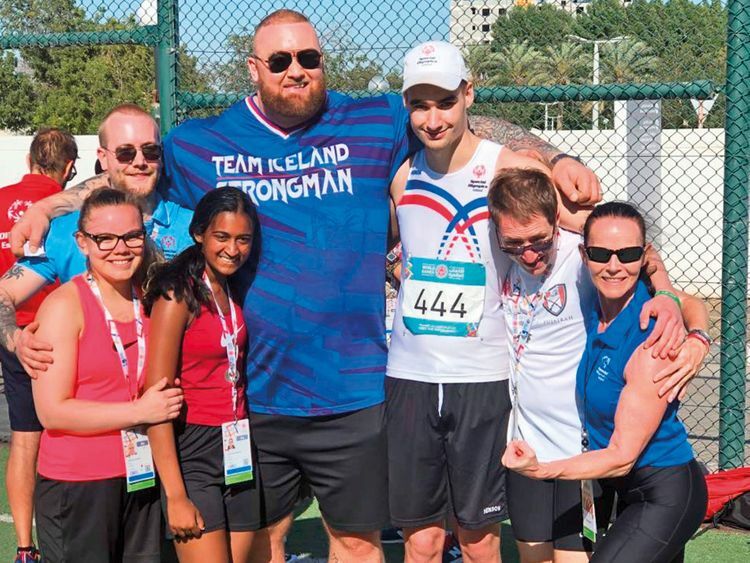 Hafthor Bjornsson, who plays Gregor ‘The Mountain’ Clegane in ‘Game of Thrones’, surprised athletes at the Special Olympics World Games Abu Dhabi 2019 for the second day in a row as he gave his support to the Icelandic national team. Bjornsson, who is also currently the World’s Strongest Man and a former professional basketball player, visited the athletes at ADNEC March 18 before heading over to Dubai Police Stadium a day later to cheer on the Iceland team in the athletics competitions. A UAE regular, Bjornsson was in Dubai last year for the World’s Ultimate Strongman: Beasts in the Middle East competition that was held in October. He was also here in 2015 for the Etisalat Fitness Festival. Bjornsson shot to fame on the hit HBO series ‘Game of Thrones’, serving Cersei Lanister as a member of the Queensguard. His character was last seen in season seven of the show. The last and final season will begin airing on April 14.